Schaeffler offers expandable complete solutions for Predictive Maintenance 4.0 with components, systems and digital services for the monitoring and lubrication of a wide range of machines. The Perlenbach water supply association also relies on solutions from Schaeffler when it comes to pump maintenance. 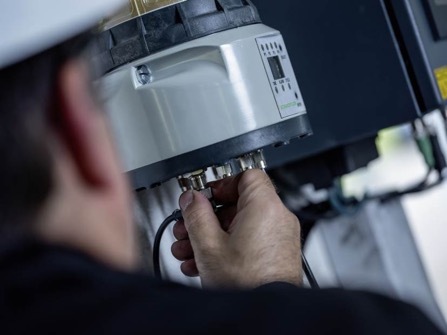 The Perlenbach water supply association in Germany’s Eifel region relies on solutions from Schaeffler when it comes to preventive maintenance. SCHWEINFURT/HANOVER, April 3, 2018. At the Hannover Messe 2018, Schaeffler will present intelligent solution packages for machine monitoring and lubrication, illustrated using reference projects. 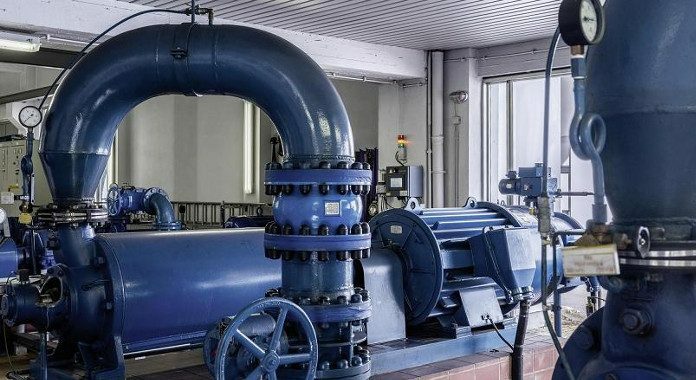 One such customer is the Perlenbach water supply association, which supplies fresh drinking water to around 50,000 residents in seven municipalities of Germany’s Eifel region every day. 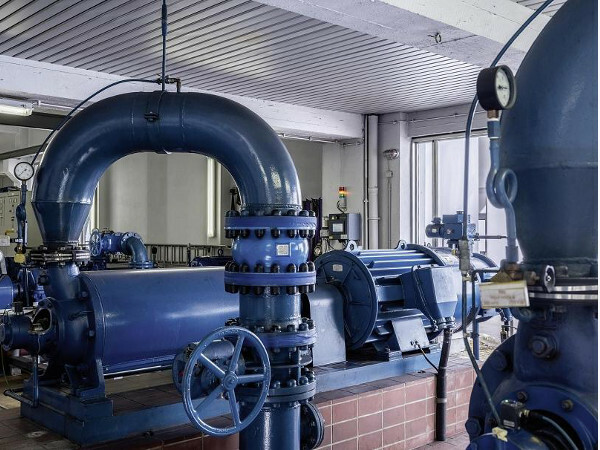 Ensuring fault-free, reliable operation would mean manning and monitoring the association’s facilities 24 hours a day, as bearing defects in the centrifugal pumps could cause them to fail and compromise the security of the water supply. Perlenbach therefore decided to utilise a system that would continuously monitor and lubricate the machinery. 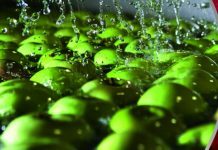 In Schaeffler, the water supply association found an expert partner to help implement a Predictive Maintenance system. 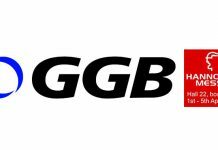 A major advantage of the solution is that the SmartQB is a preconfigured plug-and-play system, which makes it very easy to put into operation. “Conventional systems for machine monitoring are costly and complicated. In contrast, the SmartQB is so easy to use that our employees did not require any specific knowledge of vibration diagnosis. We were able to start right away,” reports Mr. Dankwardt. The electrical specialists on site were able to connect the SmartQB directly to the control system and the emergency telephone equipment. 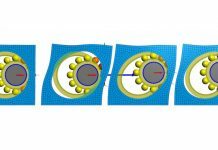 The last pump failure to occur at Perlenbach was caused by over-lubrication of a bearing. Schaeffler counteracts this problem with its Concept8 lubricator, which precisely supplies up to eight lubrication points with the correct quantity of grease. Insufficient lubrication or over-greasing and the resulting damage can therefore be prevented. The power supply to the lubricator is coupled to the pump, which means that lubrication only takes place when the relevant pump is actually running. The Concept8 lubricator ensures that machinery is relubricated precisely as required. This complete solution from Schaeffler, which combines condition monitoring and requirements-based relubrication, allows maintenance work to be scheduled well in advance. 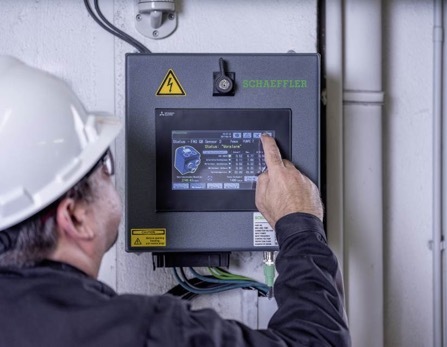 This means that customers can sustainably optimise their maintenance processes and increase the availability and productivity of their machines and equipment. Follow us on Twitter @SchaefflerUK and Twitter @schaefflergroup to get all of our latest press releases and news. Dean Palmer, Director, SilverBullet PR Ltd, Stamford, Lincolnshire, UK.